Michalis is our Trekking Expert, with a great effect on the visitors of Sportsvilla. Our Unique Holiday, Family Villa in Crete, Greece. Conquer PSILORITIS, the highest summit of Crete, at 2456 meters! According to greek mythology, the Olympian high god ZEUS was raised on these slopes. The PSILORITIS mountain range is listed as both a UNESCO GLOBAL and a UNESCO EUROPEAN GEOPARK because of its unique flora and geological features. Hike through a variety of landscapes on your way to the top in only three hours and be rewarded with a spectacular view over CRETE! We will enter the PSILORITIS NATIONAL PARK, which is at the same time also a UNESCO CLOBAL GEOPARK, and will ascend through a unique scenery which was formed millions of years ago when the tectonic plate of Africa started pushing itself under the European plate and this forced the southern edge of the European continent out of the sea. Gradually the flora will become more scarce on our drive to the REFUGE ‘LAKKOS TOY MYGEROY’ at 1600 meters. We follow the Strata of Psiloritis which hundreds of people will follow during a special event at the end of August every year. The first part will feature a rather steep climb but the morning freshness, regular breaks and, if needed, slow pace will make everyone feel comfortable. After about two hours we will join the path coming from the NIDA PLATEAU and we will be just underneath the AGATHIAS PEAK, with 2424 meters the third highest summit on Crete. From here we take turn to the right and start an easy walk of one more hour to reach the top of PSILORITIS, the HIGHEST POINT OF CRETE (2456 meters), also called TIMIOS STAVROS. From here we will enjoy a splendid view over all mountain ranges, the AEGEAN SEA and on clear days even SANTORINI on the north side and the LIBYAN SEA ans GAVDOS ISLAND on the south side. After our picnic at the chapel on the top we will return to our starting point and drive back to the hotels. This trip takes you back to your accomodation quite early so have time to relax after and enjoy this great experience in your minds and hearts. Anyone who has tried mountain biking in Crete enjoyed the unique experience to be connected with the rich nature of the island. The varied terrain, the mountainous landscape, the countless canyons and caves, the countless kilometers of coastline, the rare ecosystems and various micro climates existing on the island, create the ideal conditions for nature activities in Crete. We collected and present you the best routes offered for mountain biking in Crete. Ride your bike along with your friends or family and explore the amazing island of Crete! If you have chosen to stay in Apokoronas, you will have the chance to enjoy one of the most beautiful routes for biking in Crete. This tour is a scenic route between the sunny coast and the wonderful slopes of West Crete. Starting from Almyrida or Kalyves, you can ride your bike in the beautiful area of Apokoronas. You pass from numerous villages connected with narrow and scenic streets. The scenery offered to you during your cycling will make you feel unique emotions. You can make short stops to enjoy the pristine nature of the villages of Apokoronas. Xirosterni, Kefalas, Drapano, Kokkino Chorio and Plaka are only a few of the beautiful villages that you will discover. The square of Plaka is ideal to have a coffee or refreshment under the shade of trees and the taverns of Almyrida for a delicious traditional Cretan meal. This biking route starts from the idyllic village of Fodele in Heraklion, which is a green oasis, full of flowers, colors and aromas. Passing the beautiful valley full of lemon and orange trees, you will be excited by the variety of the landscape! You keep riding and reach the village of Marathos. You can have a stop to rest, drink coffee and get a small taste of the wonderful pastries made in the village. After a while, you continue your route, following the rural road to Fodele. You feel the unique magic of undiscovered Crete as soon as you find the Monastery of St. Panteleimon, which is located in a beautiful wild forest. During this route passing through plane trees you will be accompanied by the river of Marathos which flows in Fodele. Your tour may end in Fodele, just outside the home of the famous Cretan painter El Greco, operating as a museum presenting copies of his works. It is also worth a visit to the Byzantine church of Panagia, located near the house and considered to have inspired the great painter. Before you take the way back, do not miss a lunch in a traditional tavern of the village. Staying in SportsVilla for my vacation... A unique holiday villa in Crete, Greece. The perfect place for relaxing and refreshing... Here are some thoughts and advice for the future visitors! I used to have a busy corporate job in UK. 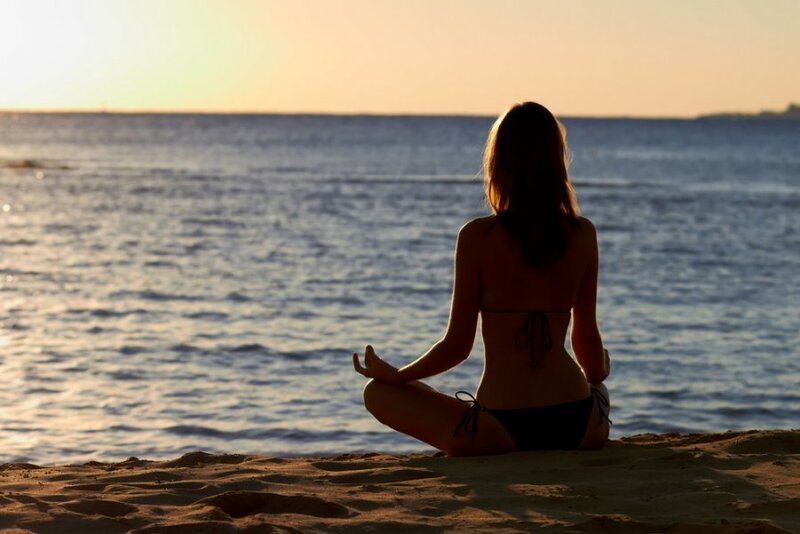 Once I learned to live my days mindfully, I noticed how I became much more relaxed. The days weren’t less stressful, but I wasn’t as stressed anymore. Instead, I was feeling grateful for my life. Joga helps many people improve their work-life balance. These tips have helped them to anchor their days and have more fun. They gained time as they prioritized according to their values. - Follow a morning practice. By Illiana, UK Joga Teacher. During your stay at Sportsvilla, this unique Luxury Holiday Villa in Crete, Greece, you will have the opportunity to visit several places, since this villa is located in the center of the island. In the region of Rethymno, former visitors gave us the idea of some excursions. One of our favorites is this one, wich will allow you to spend some hours or one day in the Moni Preveli, a fantastic place with view at the Libyan Sea! This excursion may begin with a visit at the late Minoan cemetery at Armenoi, a village on the south of Rethymno. Archaeologists have retrieved many burial compartments, many of which had been sealed since the time of the burial ceremony, and a vaulted tomb. These tombs provided a treasure of evidence regarding the burial architecture and customs. The skeletons gave useful clues about diet during the Bronze Age. 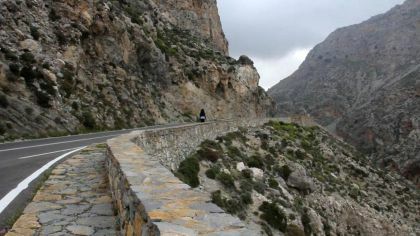 You could continue southbound, along the impressive Kourtaliotis Gorge, to the historic Moni Preveli. 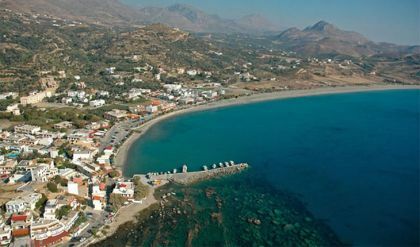 It is certainly the most famous beach of South Crete, and receives thousands of visitors every summer. Previously, he was a favorite destination for hippies. On the banks of the Grand River is a large colony of palm trees, which gives the area a sense of African landscape. The river, forming a large lake length 1.5 km before flowing into the sea, has water all year round. You can walk along the river, under the shade of palm trees and other trees, and start to go up the beautiful canyon. In some small lakes formed beside you can make a cool bath. The palm was burned on August 2010 because of large fire and neglect of the state, but fortunately recovered greatly in a short time. 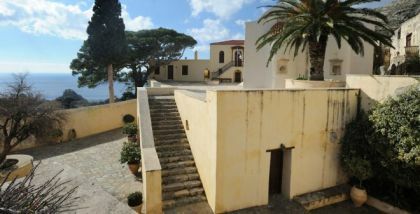 The monastery desecrated to St. John Theologos, dating in the late 16th century. The monastery is an important religious centre and a social shelter. It was a bastion of resistance during the Ottoman occupation. During the Second World War it was one of the main stepping stones for the Allied Forces to the Middle East. The soldiers’ dedications and thankful acknowledgements are a token of that time. The well-known “holy cross”, the palladium of the monastery, is kept in the church. Later, a good idea could be a head for Plakias for a meal by the seashore. In the afternoon we will proceed towards the west to visit Fragocastello one of the many fortresses on the island, the location of the myth named “Drosoulites”. On returning to the north coast of Crete, we will cross the Askifou plateau, where we will enjoy a coffee break in one of its villages. Mandatory field Ασφάλεια* Ποιο είναι το αθροισμα των 7 και 4? Ποιο είναι το αθροισμα των 7 και 4?